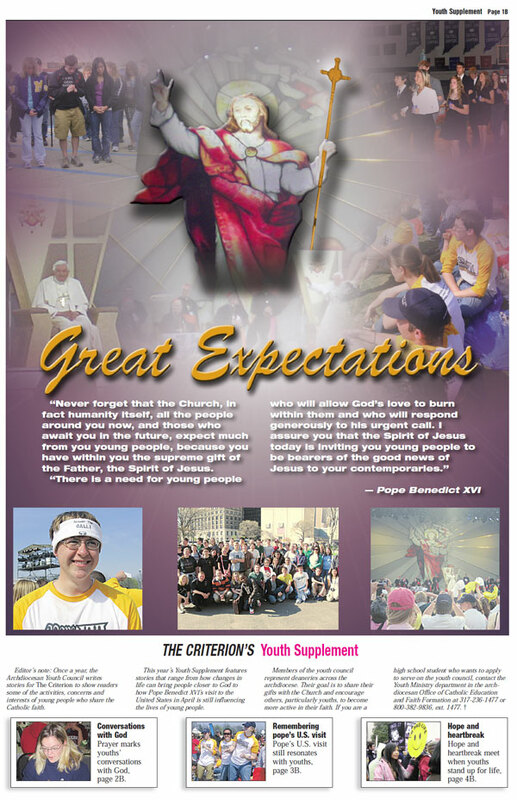 Once a year, the Archdiocesan Youth Council writes stories for The Criterion to show readers some of the activities, concerns and interests of young people who share the Catholic faith. 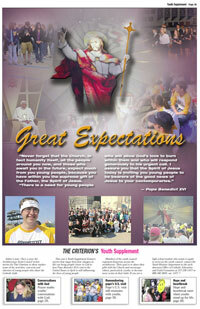 This year’s Youth Supplement features stories that range from how changes in life can bring people closer to God to how Pope Benedict XVI’s visit to the United States in April is still influencing the lives of young people. Members of the youth council represent deaneries across the archdiocese. Their goal is to share their gifts with the Church and encourage others, particularly youths, to become more active in their faith. If you are a high school student who wants to apply to serve on the youth council, contact the Youth Ministry department in the archdiocesan Office of Catholic Education and Faith Formation at 317-236-1477 or 800-382-9836, ext. 1477.